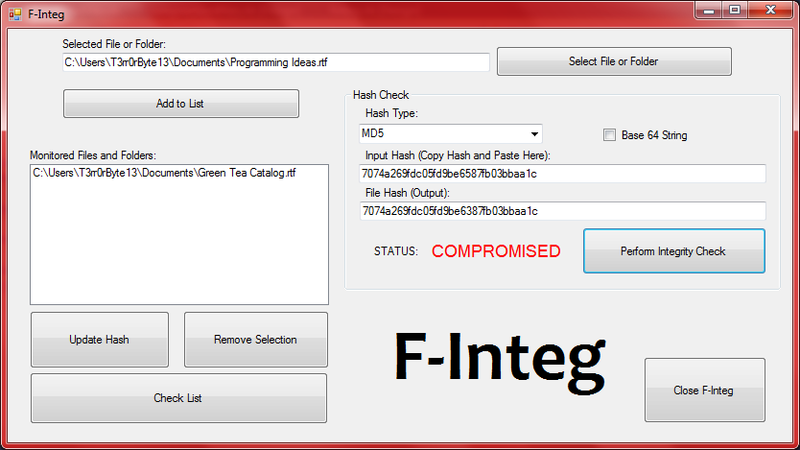 F-Integ is a file integrity checking program. When downloading files from the internet some sites will provide a check-sum for files you are downloading. To confirm that the file is intact and has not been modified, running F-Integ on the file and comparing the check-sum provided by the host will ensure that you have downloaded an unmodified version of the file. F-Integ can also be used to monitor files that are already on your computer, where security is an issue. 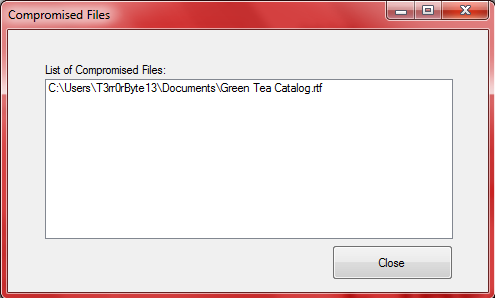 By simply adding the files to the list and selecting “Check Files” you can confirm that these files have not been modified.